The New York Times bestseller Christmas Jars has sold nearly 500,000 copies. Thousands of people across the country have emailed the author at ChristmasJars.com about how the Christmas Jars tradition has touched their lives— either by receiving a jar or by giving one. Hope Jensen’s story continues in Christmas Jars Reunion. It’s been two years since Hope was reunited with her biological mother on Christmas Eve at Chuck’s Chicken ’n’ Biscuits. Hope has never felt more complete. She’s writing full-time for a family magazine and, with the help of her mother, Marianne, leading the Christmas Jars Ministry out of Chuck’s quirky restaurant. To top it off, she’s dating a marketing executive in a comfortable long-distance relationship. Her life is right where she wants it to be — a state of organized chaos — as another Christmas rolls around. Then her world changes forever over Thanksgiving weekend. The Maxwells hire a nephew to take over the family furniture restoration business. Someone that Hope can’t stop thinking about. Then an out-of-town stranger shows up at the diner asking to help in the ministry — a stranger whose motives are yet unclear. The only issues I had with this was mainly about the audiobook part, but because I'm just not one for audio books in general, I don't think that these concerns are major. The story is nice and simple, one that kids will be able to enjoy. There are a few tug-at-the-heartstrings moments, and the overall moral of the story really helps to define what Christmas is all about - not the number of gifts we give, but just simply giving. 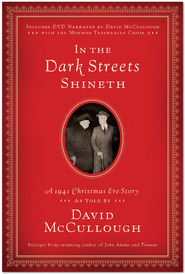 I LOVED this book even better than Christmas Jars! Heading up the Christmas Jars Ministry has become a big part of her life. If you haven’t read Christmas Jars, the New York Times bestselling book by Jason F. Wright, you’ve missed out on a classic Christmas story that will change how you view the season of giving. Its sequel, aptly titled Christmas Jars Reunion is reminiscent of the first. Across the country, a phenomenon has begun to unfold. 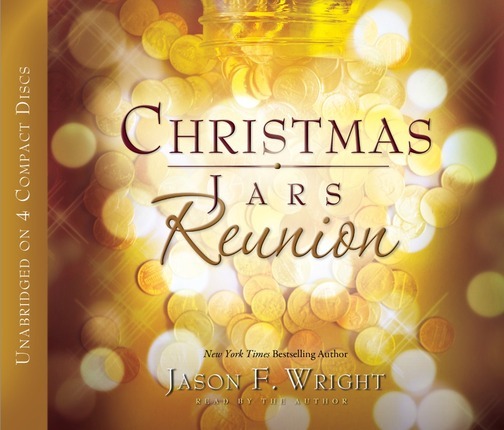 Since the release of Christmas Jars, hundreds of readers have contacted author Jason Wright and shared their Christmas Jar stories, and thousands of Christmas Jars have been given away across the country. Individuals and families are setting out an empty Mason jar to be filled with spare change throughout the year. Then anonymously, the family gives away the jar around Christmas time to a person in need. In Christmas Jars Reunion, the story that began in Christmas Jars continues. Yet, this story stands on its own, bringing the reader once again into Hope’s Jensen’s remarkable life. 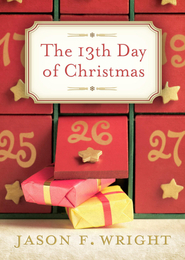 The author includes a quote from a Christmas Jar recipient at the beginning of each chapter. One reads, “I’ve often wondered how a person repays kindness. I know now . . . with a Christmas Jar. As if a year full of blessings wasn’t already enough, God blessed me again tonight. And tomorrow? A new jar begins. –Patricia” (CJR, 60). But even Hope Jensen needs to learn what the spirit of selfless giving is truly about. When Clark Maxwell re-enters her life, she must decide if she can allow him into her heart once again, and discover that loving someone might just be worth the risk. Hope sets the lofty goal of distributing 1,001 Christmas Jars in honor of Chuck, deceased owner of Chuck’s diner. But in the process, the importance of the original Christmas Jar is lost. It will take a stranger, a young girl, and an interview of a lifetime to bring back the true meaning that the Christmas Jar was intended for. Christmas Jars Reunion is a story that will inspire you to look closer at your life and remind you of the significance of selfless giving.